First State Bank is pleased to sponsor Trico High School’s Student of the Month program for the 2018-19 school year. 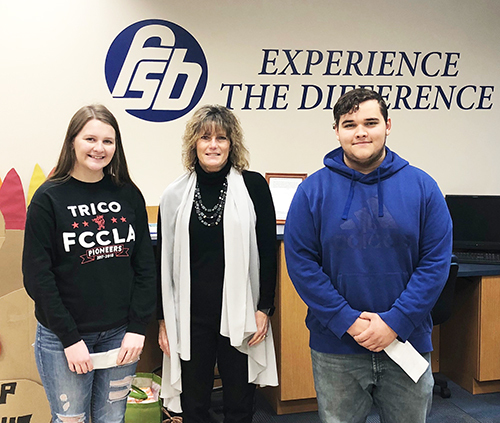 First State Bank would like to congratulate Kaitlyn Carlock & Devin Jacquez on being selected as Students of the Month for November. Kaitlyn & Devin received a monetary award in the amount of $25 compliments of First State Bank.